Undercover all-weather aquarium. 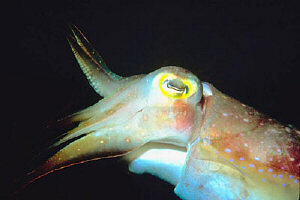 Get up close to conger eels, lobsters, seahorses and lots of other aquatic species. An important research and marine education centre for the west coast. Impressive 13th-c fortress, built by Edward I. 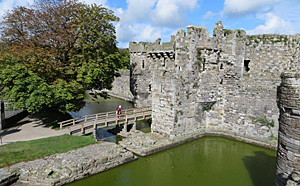 Its impenetrable layered defences include a massive central keep, surrounded by turreted curtain walls and a water filled moat. Early Victorian Goal, which remains virtually unaltered since its closure. Now open to the public, it is a fascinating museum of dimly lit corridors and spartan cells. 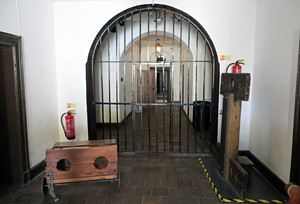 Learn about early 19th-c draconian punishment methods and horrible histories of some of the unfortunate inmates, including Richard Rowlands, who was executed here for the murder of his father in law in 1862. 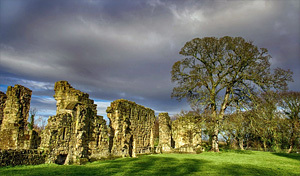 Romantic ruins of a ancient abbey set in peaceful surroundings. Founded in 1131 by Ranulf de Gernon (Earl of Chester) initially for Savignac Monks, later becoming Cistercian. The outline of the cloisters, church and chapter are still visible, along with other sections of crumbling walls, windows and arches. Situated above the River Conwy with beautiful views over Snowdonia. This delightful garden has Italian style terraces, rich plantings of shrubs and herbaceous plants and a large pond carpeted with water lilies. Particular noted for its magnificent collection of magnolias, camellias, rhododendrons and spectacular Laburnum Arch. Run by National Trust. Prehistoric circular burial chamber, located on the site of a former henge monument. Excavated in 1928–29 and partially restored. 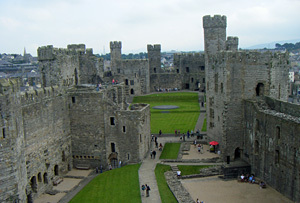 Protected on two sides by the River Seiont and the Menia Straits, Caernarfon Castle is a formidable fortress. It was said that with just a few men it could defend it against any attack. Restored to its present grandeur in the mid-1500s, it's walls have withstood many assaults, including one by the French in 1404. Edward I built the castle and town walls from 1283 to 1328. 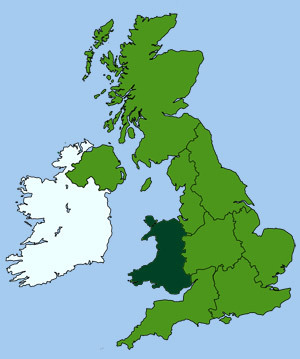 Edward l's son and heir was born and presented to the Welsh people here, setting a precedent for all British Royal first born sons. 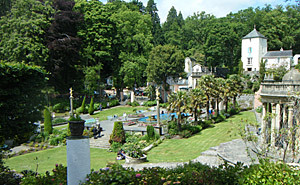 At the inland end of the castle, near the town square, is a slate platform where Prince Charles was invested as Prince of Wales in 1969. 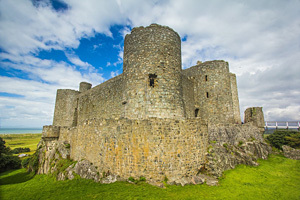 The formidable defences of Harlech Castle sit high on a bluff, with a sheer drop to the sea. One of a string of fortresses erected by Edward I, circa 1283-89, to subdue the Welsh. There are two main entrances one at the bottom of the cliff which requires a long climb up and the other at the top. Visitors can climb the 100+ steps up the main tower for spectacular coastal views. Dream like fairy-tale village created by architect Sir Clough Williams, with flamboyant castles, follies, grottoes and cobbled squares. 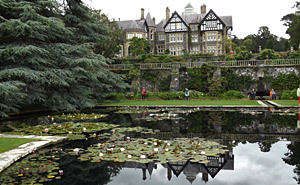 Includes acres of gardens and woodland, famed for its sub-tropical flora, rhododendrons, azaleas and hydrangeas. Elegant 18th-c Classical and Gothic mansion built by James Wyatt with a 1930s restyled interior. Exhibition on Rex Whistler, whose largest painting is exhibited here. Lovely gardens and arboretum, with shrubs and wild flowers. Scenic woodland walks and spectacular views of Snowdonia. Run by National Trust. Mighty stacks and dramatic sea cliffs topped with heathland, provide a rich haven for a range of wildlife. Telescopes provided. 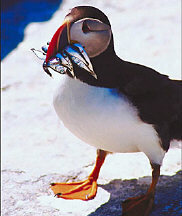 Large screens relay live feed images of the seabirds, including puffins. Opening times: daily - see website for details.